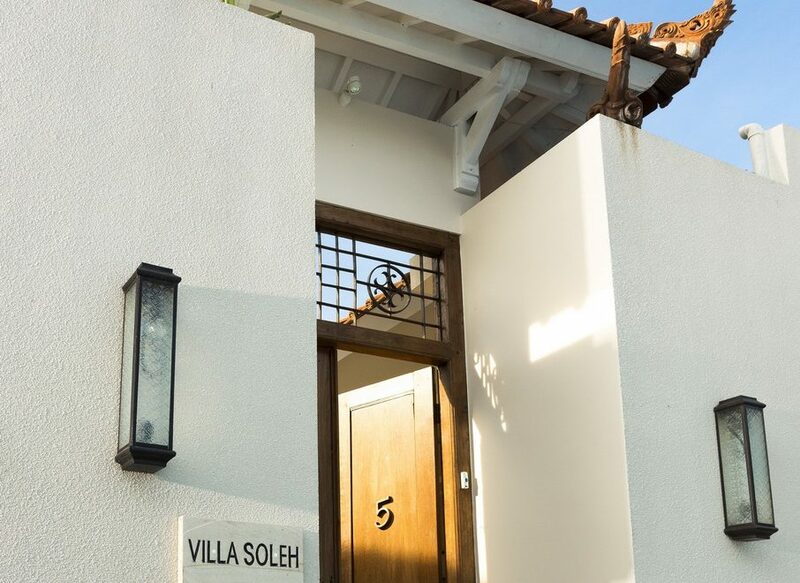 When guests walk in through the wooden gates of Villa Soleh, they step into an enchanting, cozy and private compound. Taking up center space in the compound is the spectacular rectangular pool which is flanked on one side by beautiful frangipanis and on the other side by the sundeck. 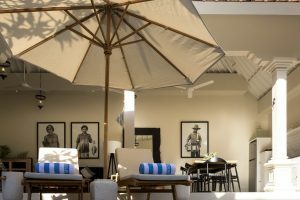 On the sundeck are lounge chairs which is perfect for outdoor relaxation and getting that lovely island tan, and on the other end of the pool are easy chairs where guests can sit and enjoy a refreshing drink after a swim. 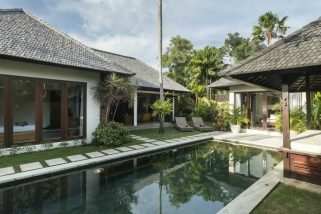 Villa Soleh has a simple yet elegant open plan living area which is found in an open air building right beside the pool. 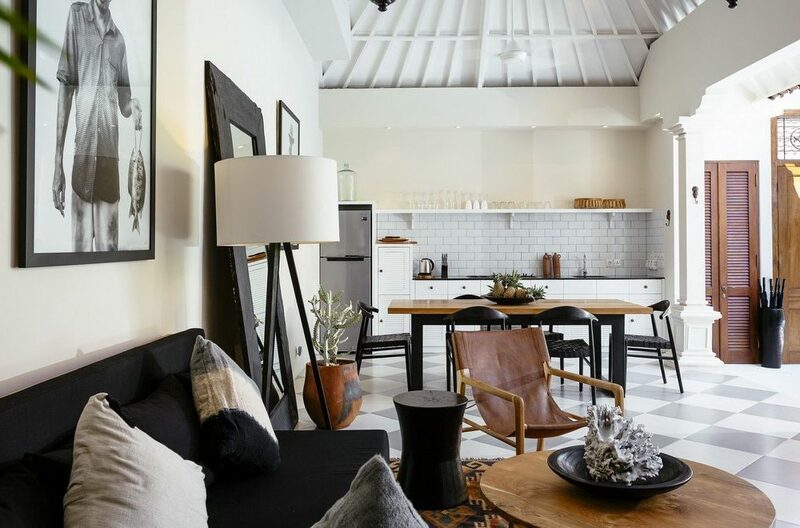 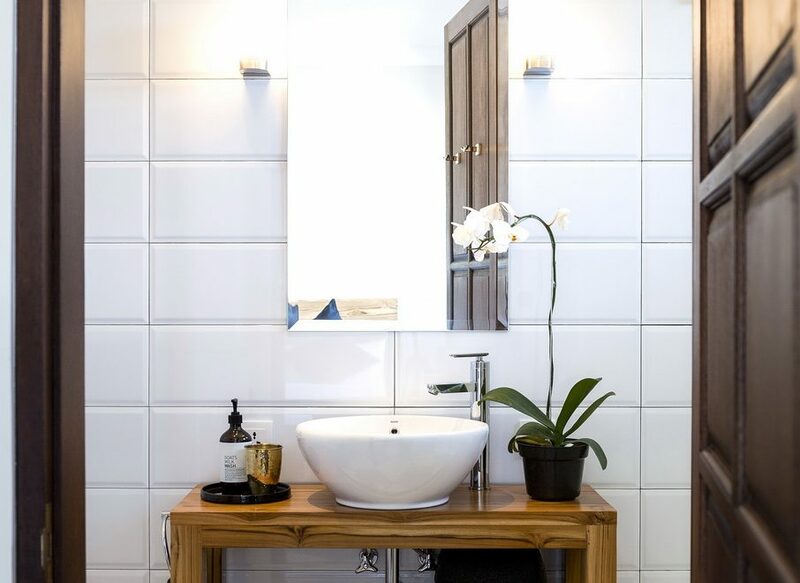 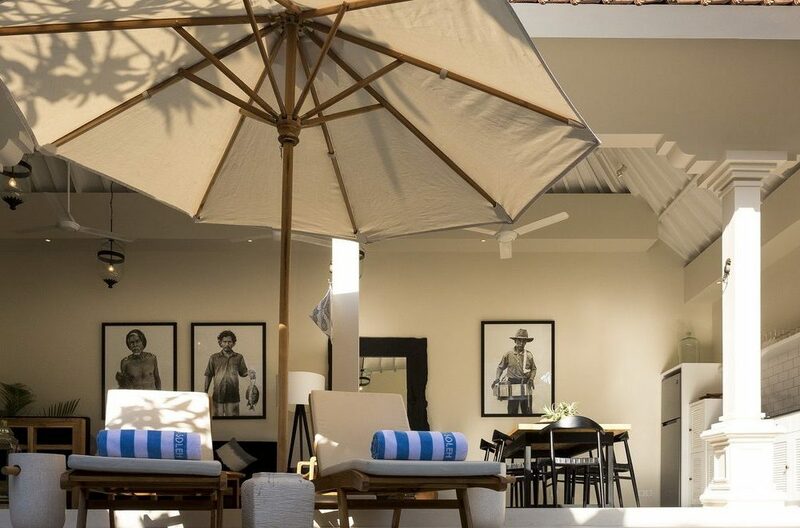 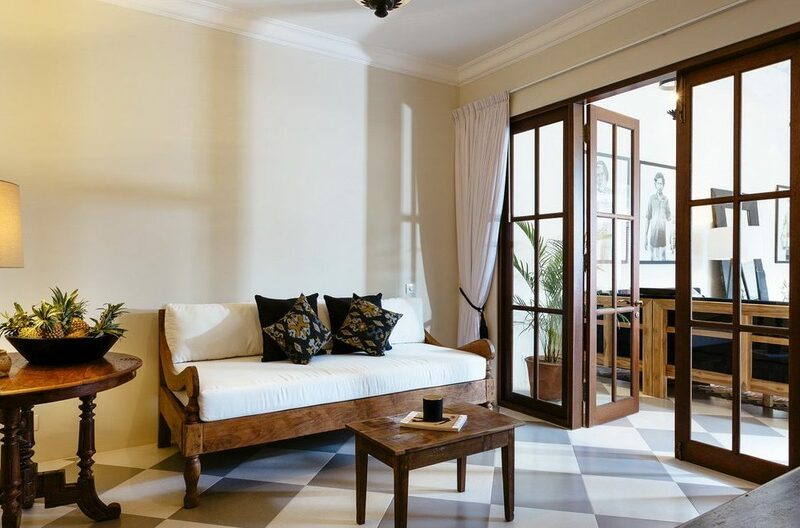 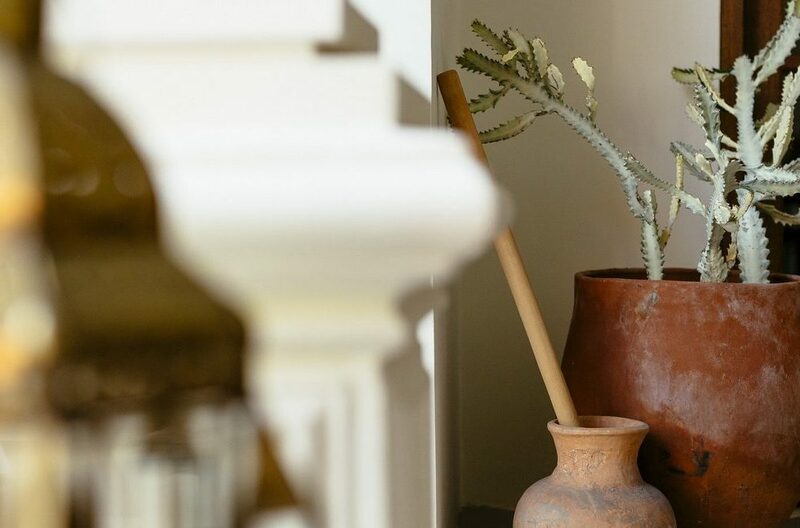 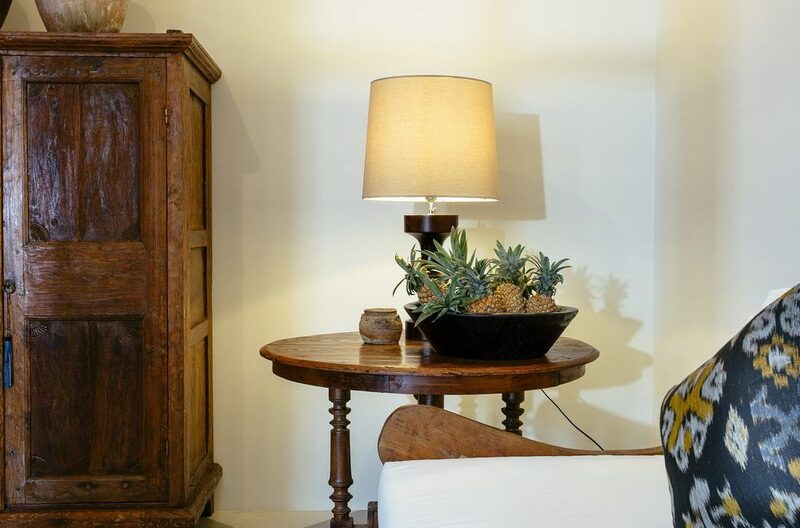 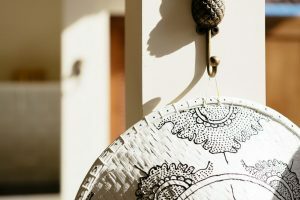 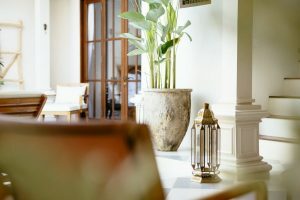 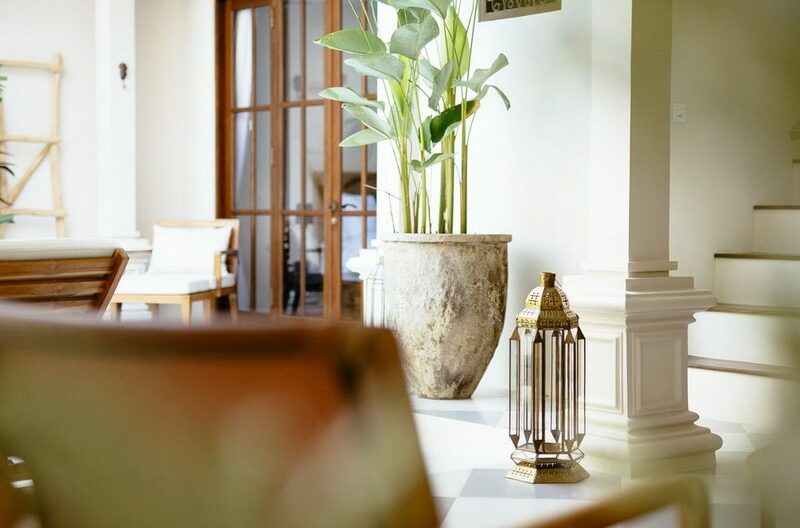 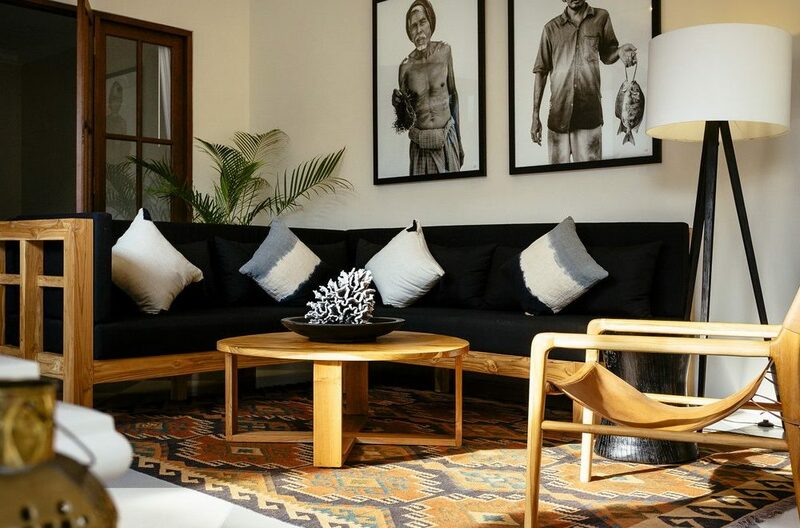 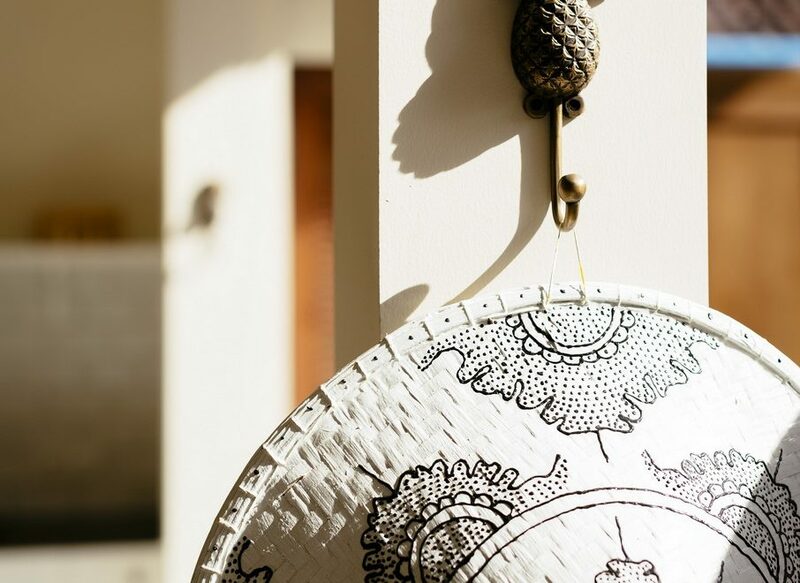 The décor is a fusion of traditional and modern, with beautiful wooden furniture, stunning pieces of art on the walls and lovely Balinese statues. 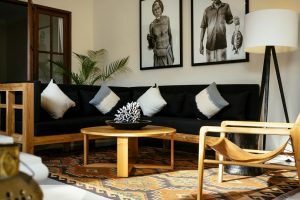 Guests can sit on the comfortable sofa and enjoy quality time indoors, along with a stunning unrestricted view of the garden and pool area. 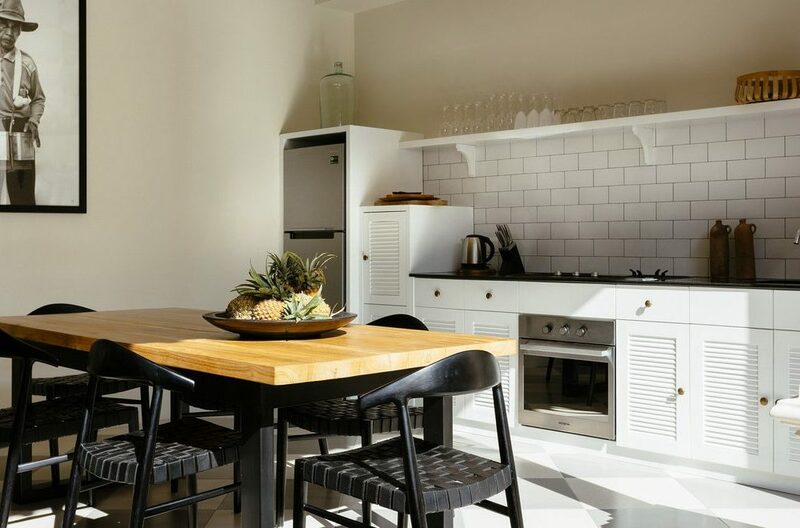 Beside the living room is a 6 person dining set perfect for both indoor dining and dining alfresco. 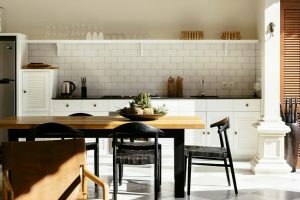 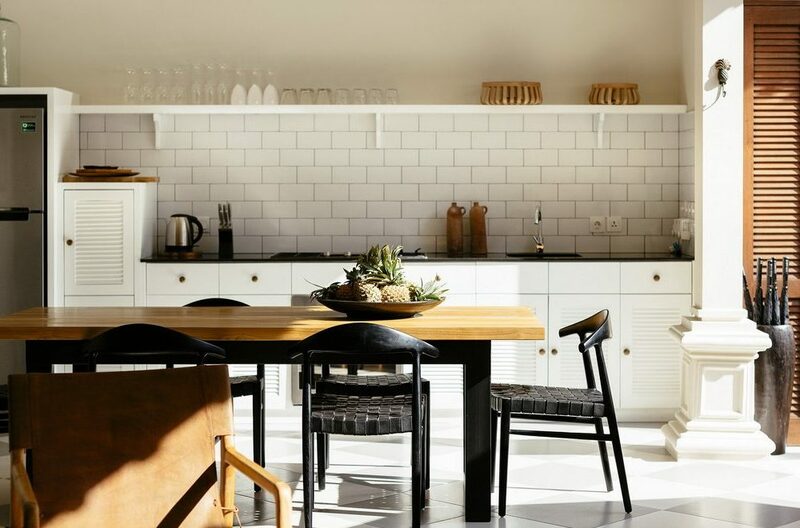 The kitchen is modern and well equipped to ensure guests have all they need to make delicious dishes whenever they want. 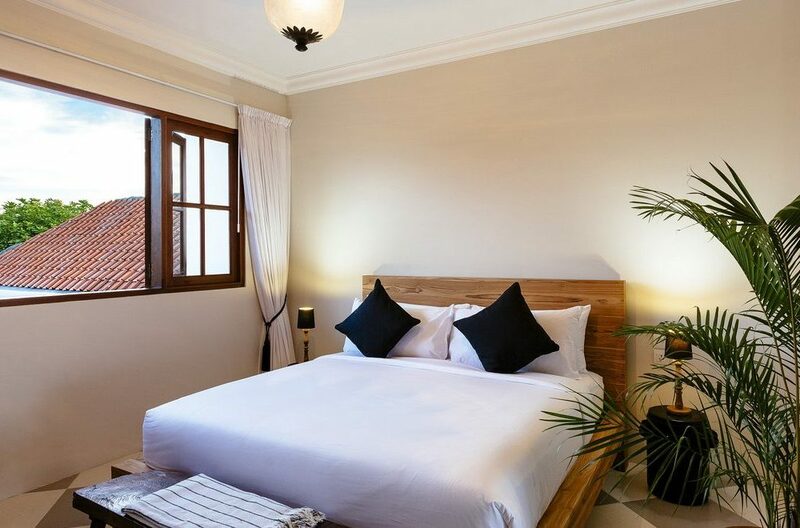 The 3 bedrooms of Villa Soleh are spread over the two floors of the storey building. There are two bedrooms upstairs and one downstairs. 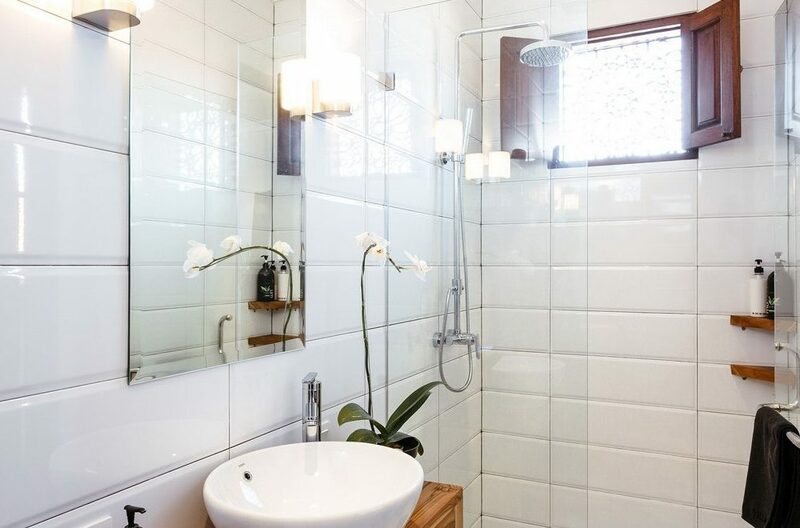 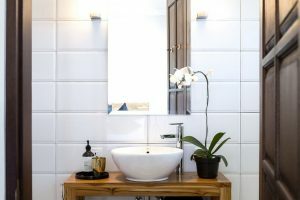 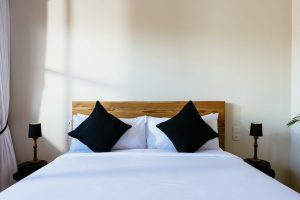 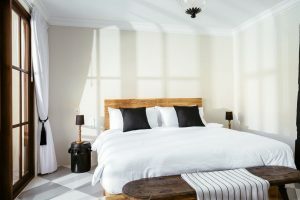 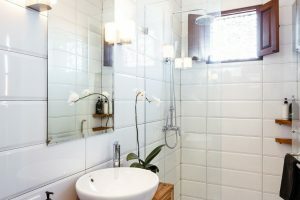 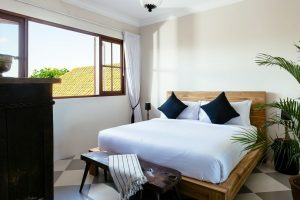 Each bedroom features an ensuite bathroom, king bed, beautiful décor, air-conditioning, flat screen TV and an easy chair. 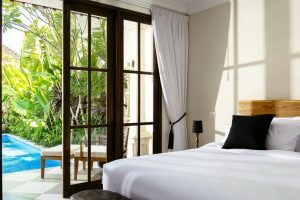 The bedroom downstairs has a sliding glass door that leads out to a small sitting area just beside the pool, while from the huge windows of the bedroom upstairs, guests have a sweeping view of the town before them. With its, ample space, the bedrooms are comfortable and private, ensuring guests can get their much needed rest with ease. 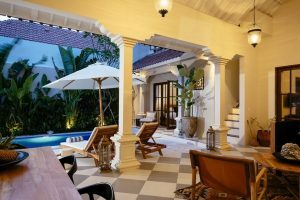 Guests of the villa enjoy complimentary tea and coffee, dedicated services of daily housekeeping, pool and garden attendants and security. 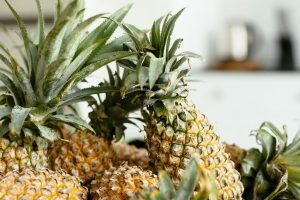 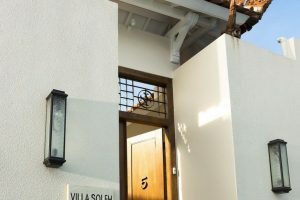 The staff are very helpful, courteous and on hand to ensure that guests enjoy every moment of their stay in Villa Soleh. As you set foot into 5 bedroom Seminyak holiday villa rental, Villa Una through its imposing teak gates, you will be overcome with a sense of awe. 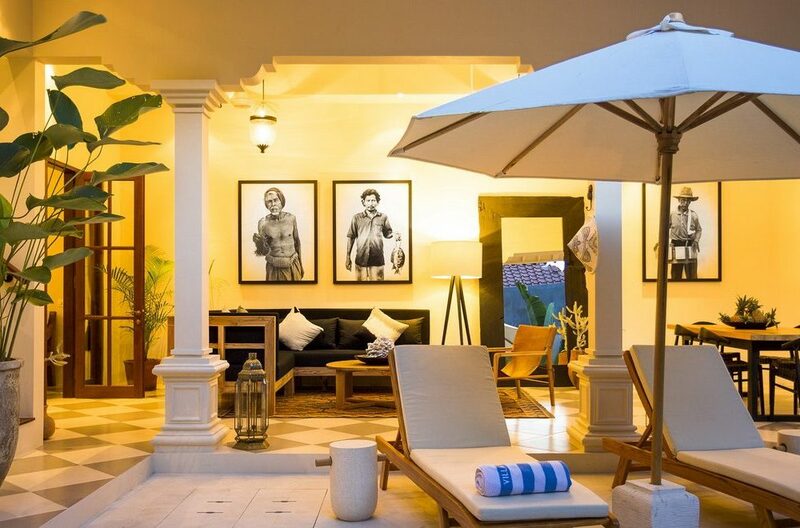 Right at the entrance, this majestic five-bedroom hideaway looms large before you. 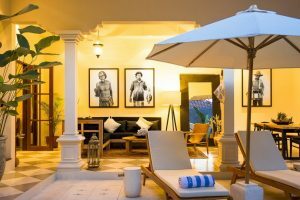 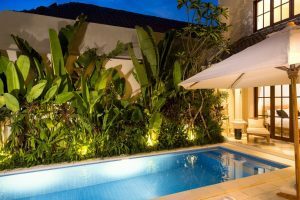 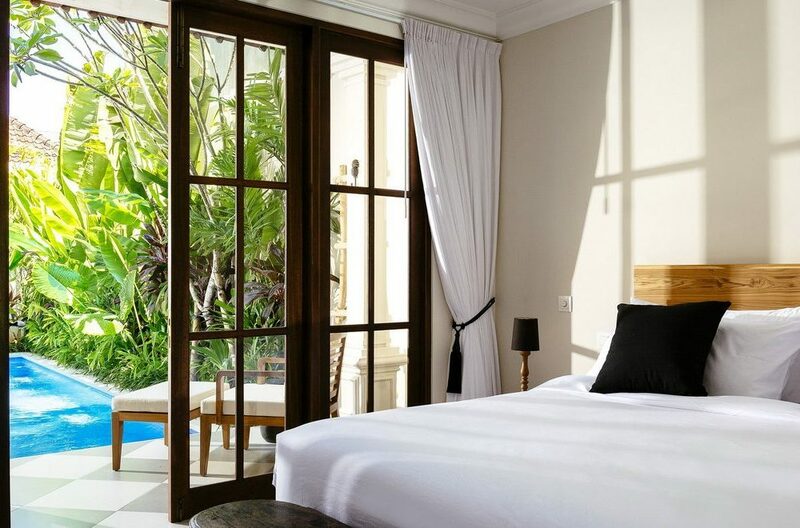 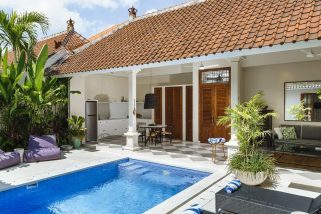 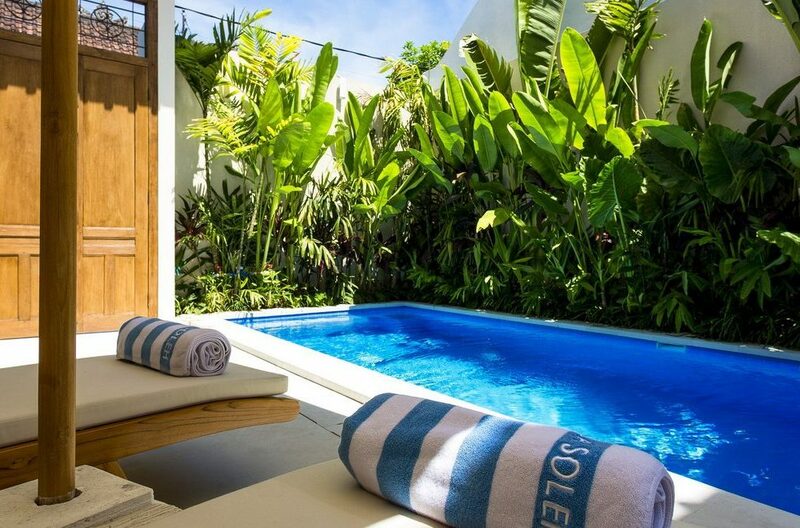 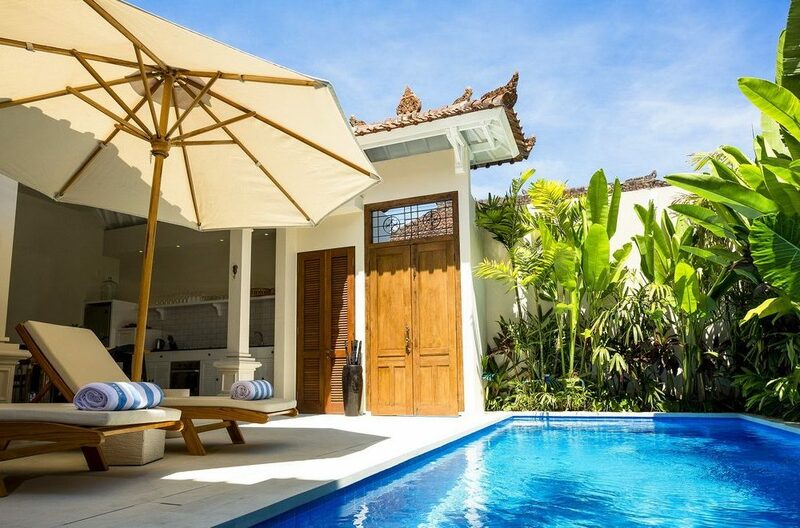 If you’re looking for a well priced, 2 bedroom holiday villa in the heart of pulsating Seminyak, then Villa Tiga Mangga is sure to suffice all your holiday needs.